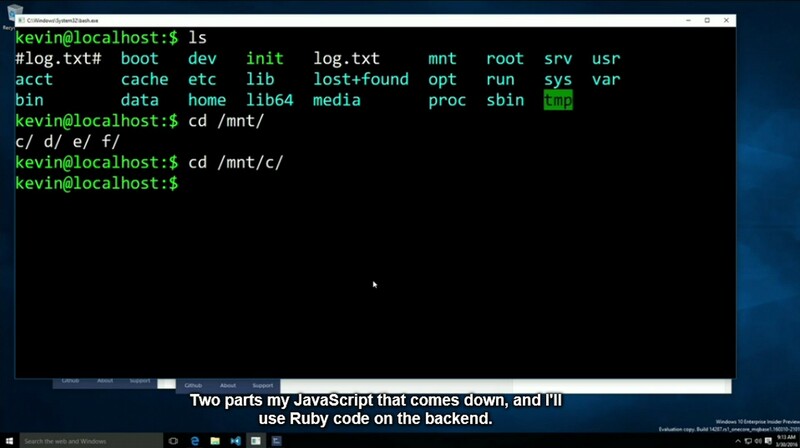 Microsoft’s annual developer conference, Build, begun earlier today with some fantastic announcements to Windows 10 during the opening keynote. Here are some highlights for me. Linux will be integrated into Windows 10. You won’t see the Ubuntu desktop UI, but tools like bash will be made available and this will aid open-source developers by presenting them a familiar environment. 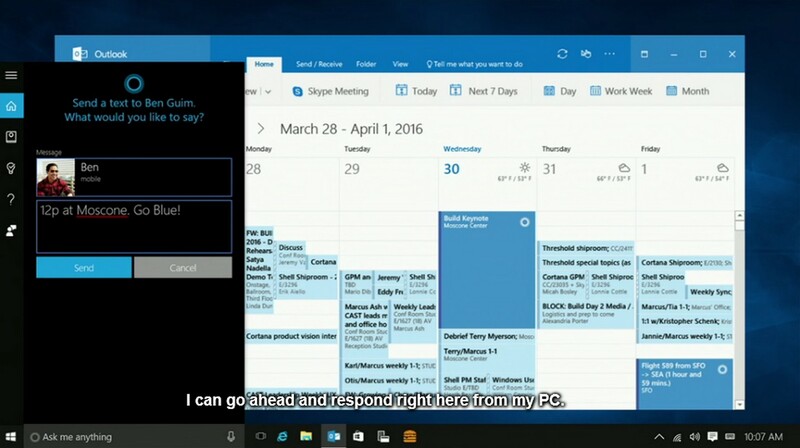 Windows 10 is poised to be the best platform for development work, even for developing for other platforms. Announced during last year’s Build, Project Centennial will be released soon and will allow developers to repackage their program as a modern Windows app. This lets them submit their app to the Windows Store, creating a one-stop portal for users to download programs, including games like Witcher 3 and Age of Empires 2. 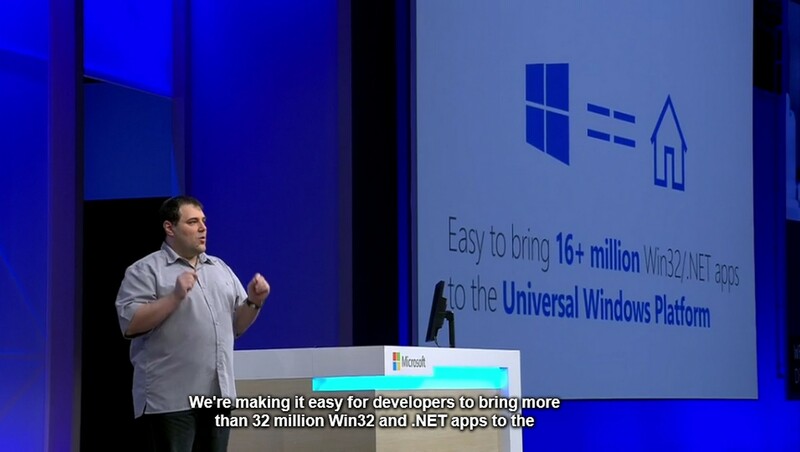 With some code additions, the .NET or Win32 application will also be able to leverage modern APIs such as Live Tiles too, and will remain backward compatible with previous versions of Windows. 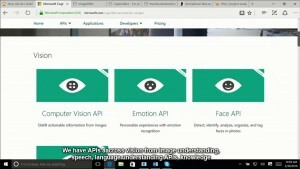 As part of the Windows 10 “OneCore” family, Xbox will soon be opened to app developers to deploy their Universal Windows Platform (UWP) apps. 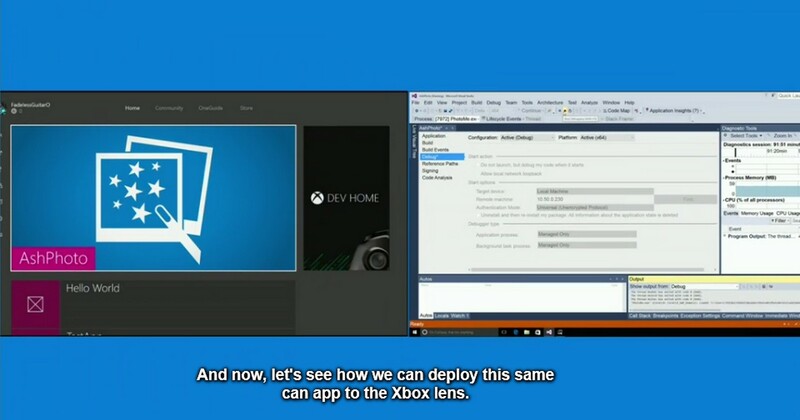 Previously, developers would need a special Xbox to deploy on. Soon, all retail Xboxes will have the ability to enter (and exit) a Developer mode where you can remote deploy apps to via Visual Studio. 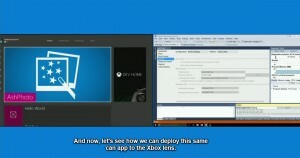 Windows Store will also be merged with the Xbox to bring the familiar Store experience to the entertainment console. 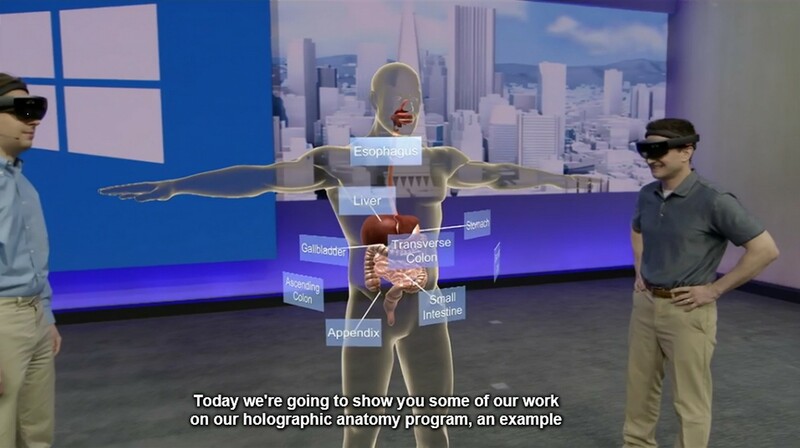 Microsoft HoloLens Dev Kits start shipping to developers who managed to apply for one. 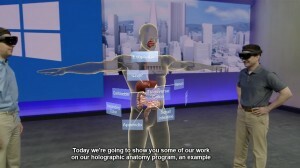 Examples of how the HoloLens can impact lives include medical students interacting with a 3D model of human anatomy, receiving input from another user offsite. NASA has also set up a “Destination Mars” tour with HoloLens that will be featured in Kennedy Space Center, allowing visitors to experience Mars with 3D guides such as the likeness of Buzz Aldrin. Satya brought up bots with a poke at Tay – “we want to build technology such that it gets the best of humanity, not the worst”. 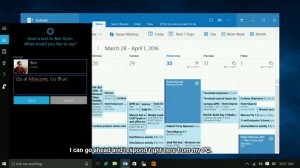 Major improvements to Cortana, the Windows 10 personal assistant, were shown including her inclusion onto the lock screen and Outlook, as well as the ability to push text messages from mobile (not just Windows Phone) to the desktop and let the user respond. Bots are now coming to Skype too – Cortana will be integrated in a way that allows users to message her just like a personal assistant. She’ll be able to discover and pass information to other bots, including contextual information so the users don’t have to repeat themselves. 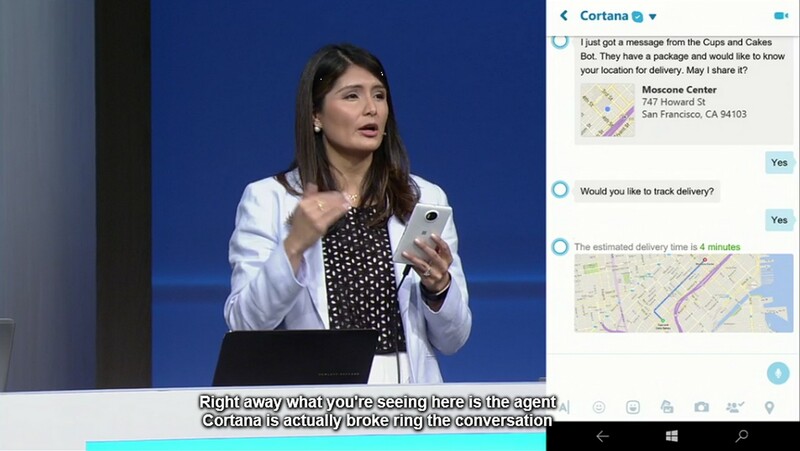 Examples demonstrated included a courier bot letting the user know a package was on the way, letting Cortana track its whereabouts, and asking for a place to stay connected the user to a Westin Hotel bot. 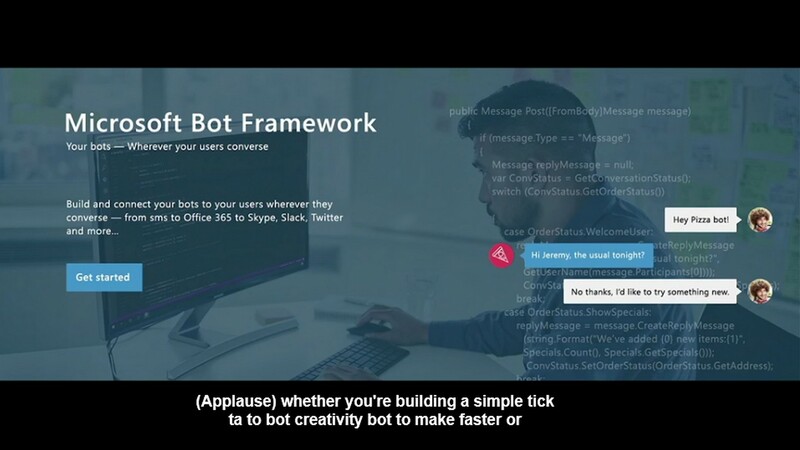 Next, the new Microsoft Bot Framework was demonstrated, allowing developers to create their own bots that can interact with users via text messaging, Twitter, Skype, Office 365, Telegram, and more. 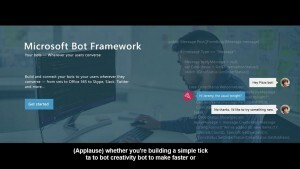 Developers can easily create rules to teach the bot how to understand and serve users better, and hand off more complex requests to a human assistant. Finally, Microsoft’s Project Oxford has now graduated to Microsoft Cognitive Services, bringing 22 Machine Learning APIs in categories such as Vision, Speech, and Language, Knowledge, and Search – allowing developers to harness the power of Artificial Intelligence such as breaking down an image and describing the scene (e.g. a man doing a trick on a skateboard). We have two Microsoft Student Partners from Singapore over at Build today, look out for their post on Spiffy when they get back to share their newfound knowledge and experience! Also check out what The Verge’s thinks are the 10 most important announcements at Build.